No industry is immune from the lure of cloud technology. That includes the insurance industry. We all know the competition is fierce among insurers across all sectors, from property and casualty to health and life. But what’s changed over the past few years is that these carriers have begun incorporating cloud services into their offerings as a point of competitive differentiation. 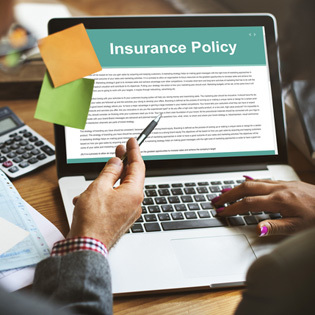 Let’s look at some specific examples of how insurance companies in all sectors have begun leveraging cloud technology to reach an increasingly digitally savvy target market. Let’s start with an industry disrupter named Root Car Insurance. Based in Columbus, Ohio, this company developed a phone app that offers you insurance based on how you drive. The way it works is pretty simple; you download an app and drive around for a couple of weeks. Then you receive your personal quote for car insurance. Don’t get left behind; request a quote on cloud services for your agency. Interestingly, some of the more traditional carriers have begun copying this model, including MetLife Auto & Home. Their new phone app tracks how drivers handle themselves on the road and then gives them premium discounts and tips to improve safety. This melding of cloud technology with the insurance sector has the potential to completely change the business model. Another new start-up to consider is Lemonade, which offers renters and home insurance via a phone app. This is an A-rated insurer who is also a start up. Bots power the app; everything is automated so you can get insurance fast with just a couple of finger swipes. The fees are flat rates, and at the end of each year, Lemonade takes any leftover money and gives it to charity. What’s particularly interesting about Lemonade is that they are an anti-insurance company. Their advertising literally suggests that insurance carriers make more money by denying claims. They say the current American insurance model increases the distrust between client and carrier – and they’ve set out to change that. Let’s flip to property and casualty, where CIS Group has partnered with a company that analyzes the data captured from drone technology to change how their field inspectors work. Now, instead of inspectors hanging off a roofline, they can send drones with cameras to capture and analyze data. According to Property Casualty 360, State Farm and Allstate are following suit, by teaming up with start-up drone companies to help with catastrophe response and roof inspections. Agents are also getting into cloud services by submitting online applications. Agents agree that this is a more time and cost-effective method of facilitating the underwriting process. Some agents are even using automated chat bots to facilitate more leads, as well as using online customer relationship management (CRM) databases with automated marketing. Cloud Technology in Insurance – What’s Next? It’s inevitable that cloud technology will continue to change the insurance industry. With advances in artificial intelligence and analytics, it’s likely that cloud services will improve and shift as the industry evolves. Get a free technology assessment – click the image below.